Alligators might seem menacing in the wild, but this green guy was spotted protecting a child from a rogue fly ball earlier this week. 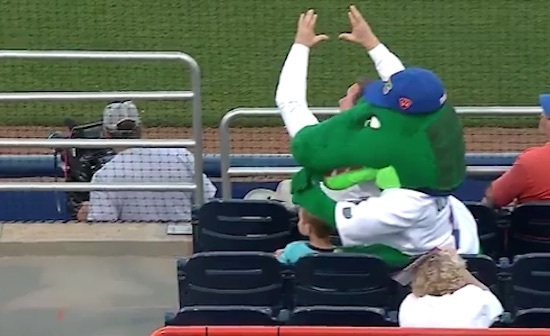 The sweet man inside the Gators mascot suit at the University of Florida – fondly named Albert – was sitting next to a youngster at Wednesday’s game against the Central Florida Knights when a softball started heading their way. Albert wrapped himself around the boy, and took a hit to his soft, squishy head instead. Playfully surprised by the fly ball, Albert flopped across the seats to recover. 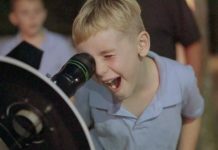 In exchange for the kindness, the boy whom Albert protected desperately tried to resuscitate his hero with CPR, resulting in the cutest video on the internet this week.